Business class flights to San Diego have never been easier and cheaper to find thanks to our exceptional service and affordable prices. 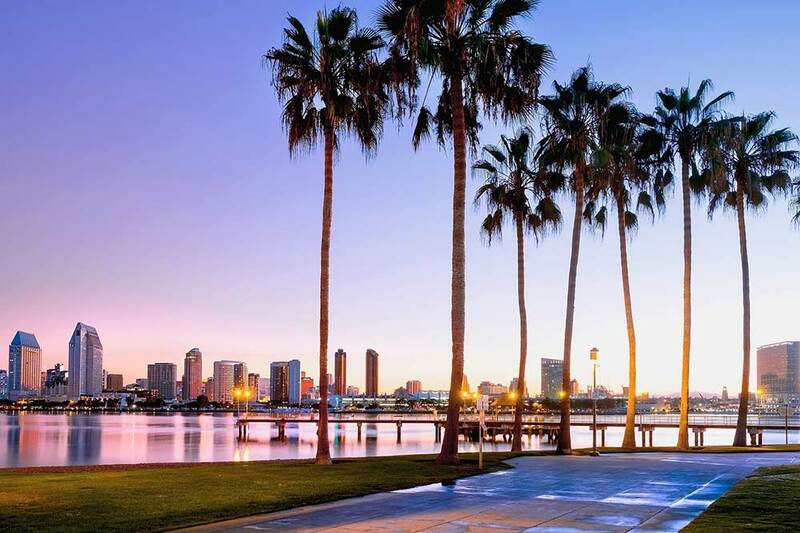 Whether a business trip or luxury holiday to San Diego, it is our mission to get the best deal for you or you business. We love building long term relationships and will provide you with your own personal travel consultant that will work with you or your company to make your trip memorable and enjoyable. Business flights to San Diego need not be stressful, so we arrange all the flights, airport transfers, hotels and car hire to suit your needs. This interesting historic district forms the heart of the central city and has become a precinct for San Diego’s entertainment. Dating back to the mid 1800’s there are fantastic Victorian era architectural marvels all contained within the 16 blocks making it an easy and walkable area. This is the place to be for high quality cuisine and night entertainment. 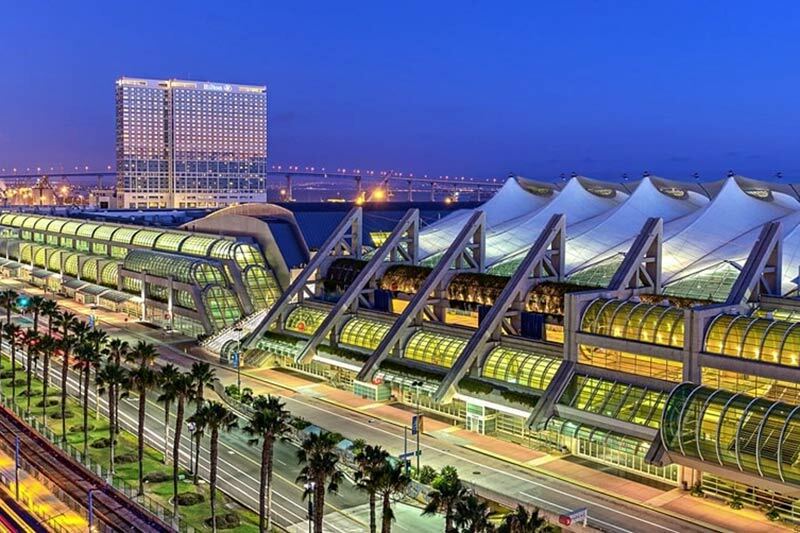 Insider’s Tip: The southern boundary is where you will also find the Convention Centre which hosts the world famous San Diego Comic-Con held annually in July. The biggest of its type in the world also makes for a very busy time in the city. The Coronado Peninsula is a respite from the city with some of the best beaches available in California. With luxury hotels and golf clubs with outstanding business facilities amongst white sandy beaches, it has become a destination on its own while still being just a short drive from San Diego’s centre. San Diego is a major naval city for the United States military, and you can experience one of their crowning glories by visiting the USS Midway aircraft carrier. Located to the west of the Gaslamp Quarter, this ship and associated museum offers multiple exhibits including a number of restored aircraft, and the self-guided audio tour gives an interesting insight into life aboard the vessel. The large green space to the north of the city centre known as Balboa Park is home to several attractions including the Natural History Museum, the Automotive Museum, and the world-famous San Diego Zoo. The stars of the zoo come in all shapes and sizes, with the polar bears and pandas always crowd favourites! 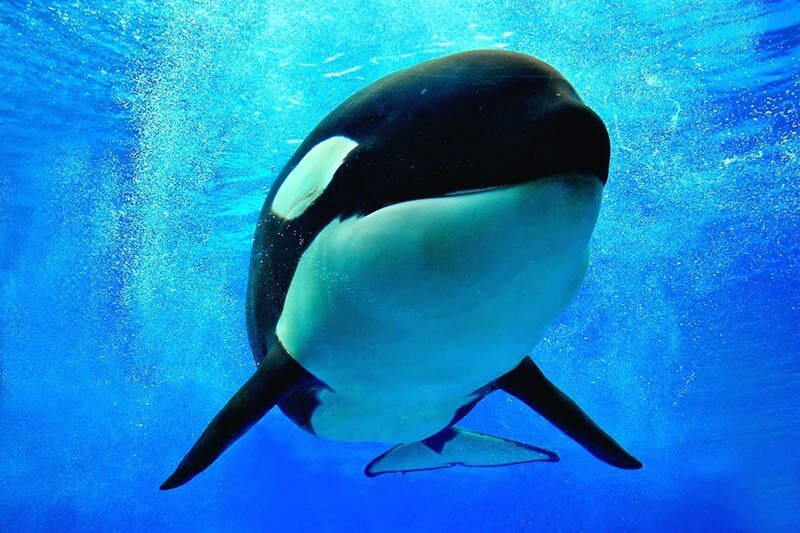 After your flight to San Diego, you will definitely want to visit SeaWorld, located in Mission Bay and only a short drive to the north of San Diego. Close to the beautiful Pacific Beach, lies SeaWorld San Diego which showcases a myriad of marine life in a fun and entertaining setting. Add something special to your luxury holiday with an up-close encounter with dolphins, or be entertained by the live shows. For the adventurous, the park has several rides and attractions to make a full day out. Insider’s Tip: If you are wanting to see both the zoo and SeaWorld or a number of other attractions, a multi-park pass offers excellent value! No holiday to America is complete without seeing one of their major sporting events! The San Diego Padres is the city’s baseball team that plays out of Petco Park Stadium, just a short walk to the south of the Gaslamp Quarter. The season runs from April to October and the atmosphere is hard to beat. Listen to the classic chants and the organ playing, all with a hotdog in hand. It’s a true slice of Americana! 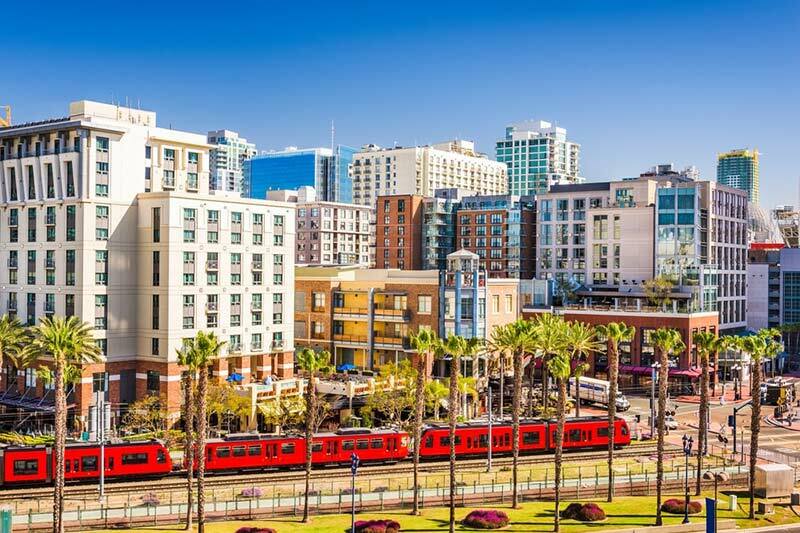 Situated between the Gaslamp Quarter and the marina, the Marriott Marquis San Diego Marina is perfectly located for all your business needs. Offering premier facilities over four floors compromising of small meeting rooms up to large conference spaces, all are available with state-of-the-art amenities and customisable catering. Ranked the number one hotel for meetings in California, the Hilton San Diego Bayfront is well placed for all your business requirements. Small business meetings and board meetings are highly catered for in this venue and Hilton offer a dedicated meeting team to assist with any specifics that you require. With the sprawling metropolis of Los Angeles just two hours to the north, the opportunities are endless! Take the family to Disneyland, cruise the Californian coast to Santa Monica Pier, or provide world class business outings to some of the best restaurants available! Get a taste of Mexico and cross the border into Tijuana! Try authentic Mexican food, experience vibrant street art and music, and come back to San Diego with bags full of gifts from the markets. Insider’s Tip: The border crossing back into The USA is not the most pleasant thing so instead of driving down, get a day tour to make sure you see everything in a hassle-free way! Fly From = Direct business class flights are available from London Heathrow or indirect from all other major UK airports.